An ever-growing world population is continuously putting pressure on global food systems. 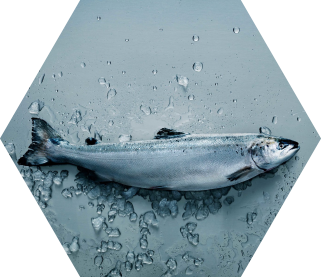 For the aquaculture sector, this means ever brisker business, with the World Resources Institute estimating that it alone will need to ramp up production by up to 2 million tons annually, just to keep pace with growing demand. It’s of course good news for the industry, and for the balance sheet, but, pardon the pun, there’s a catch. Fish meal and fish oil supplies, from wild-caught fish, simply cannot continue to keep up with aquaculture’s increasing needs, making the search for sustainable, attractant feed ingredients ever more pressing. The problem is particularly acute for shrimp farming, as historically fish meal has been the main source of protein in shrimp feed. Soybean meal is of course a cost effective and sustainable alternative, but there are downsides associated with this alternative, specifically for shrimp production. Fish meal is known to contain more omega-3 fatty acids, while soybean meal is higher in omega-6. Also, the taste of this ingredient is quite simply less attractive for shrimp, resulting in reduced feed intake and slower growth. But help is at hand, and from a fellow crustacean no less, krill. A rich source of vital omega-3 phospholipids and proteins, krill meal is an incredibly effective feed attractant, helping to overcome the low palatability of, for example, soybean meals. Importantly, it is also both sustainable, and comes from a low trophic level, meaning it doesn’t compromise food opportunities for humans. Derived from an aqueous extract of Antarctic krill (Euphausia Superba) harvested in the Southern Ocean, krill is low in the food chain. Feeding on plankton, it is one of the most abundant species on earth, with a biomass estimated at around 500 million tons. While other fisheries typically set precautionary catch limits at 10% or more, the annual permissible krill harvest is currently limited to just 1% of the total biomass located around the Antarctic Peninsula. Set at this level, while more data and knowledge on the eco-system can be generated by the international scientific community, the actual annual catch of 200,000 tons is actually still far below this set level. This of course means that in excess of 99 per cent of the krill biomass is left unharvested and available to other species. Governed by The Commission for the Conservation of Antarctic Marine Living Resources (CCAMLR), one of the world’s strongest regulatory bodies on fishing, the krill fishery qualified for the top A rating in terms of sustainability in both 2016, 2017 and 2018, awarded by the Sustainable Fisheries Partnership. CCAMLR utilises a precautionary, ecosystem-based approach aimed to prevent any negative impacts on other species in the ecosystem and fishing is restricted to a specific region of the Southern Ocean. A truly sustainable marine ingredient and ready feed replacement for fish meal and fish oil, krill can, and we believe will, help aquaculture meet the food demands of the future.